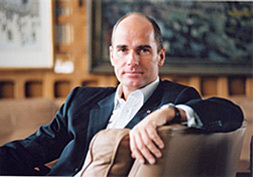 Berlin based German entrepreneur and geostrategist Dr. Hubertus Hoffmann is President and Founder of the World Security Network Foundation, an international, independent, nonprofit organization, the largest global elite network for foreign and security policy with more than 303,000 elite users all over the world who receive our weekly electronic newsletter, publishing this website with more than 2 million hits monthly with analysis and proposals, supported by 100 mostly young editors from 34 nations, an International Advisory Board of 71 well-known experts from 21 countries-including 20 generals and admirals-and more than 200 authors from all over the world. 300 media partners and 120 institutes cooperate with WSN and make use of its analysis "Networking a safer world". The World Security Network Foundation (WSN) is an independent, international non profit organization. It is the largest global elite network for foreign and security policy, with the purpose of “Networking a Safer World”, promoting a fresh global foreign policy, which we label “World 3.0”. WSN was inspired by my long-term mentor Dr. Fritz Kraemer, who demanded to give something back to humanity by supporting and enabling the talents of the young in a new global foreign affairs elite. not American, Asian or European; we are the largest global-elite action network for foreign and defense affairs in the world, focusing on the young, new elite. neither left nor right, neither U.S. Republican nor U.S. Democrat, or indeed an adherent to any other party line. WSN is an independent, international and pluralistic non-profit organization. solution-oriented, looking for concrete proposals for all conflicts. not bureaucratic: we are creative and action-oriented, like businessmen. not fanatical: we are engaged global citizens with the vision of networking a safer and better world for our children. We promote fresh, innovative thinking. We look for well thought out action plans to contain crises, thinking 'out of the box' as we have successfully in business. WSN is a new kind of global foreign affairs action network in the age of globalization using the internet and local Task Force meetings. 100 mostly young editors with 34 nationalities report from New York, Washington, D.C., Tokyo, Paris, Vienna, London, Rome, Moscow, Athens, Munich, Berlin, Ankara, Sweden, Poland, Finland, Caucasus, Singapore, Beirut, New Delhi, Peshawar, Islamabad, China, Nepal, Mexico, Peru, Canada, Kenya, Saudi Arabia and Australia. Dieter Farwick is the Senior Vice President, former Director of Germany's "Federal Armed Forces Intelligence Office" and close aide to former German Defense Minister and later NATO Secretary General Manfred Woerner. More than 303,000 members of the international information elite receive our weekly electronic WSN newsletter, including more than 125,000 members of foreign affairs networks, 65,000 business executives and lawyers, 40,000 professors and students of elite universities, 32,000 journalists, 19,000 foreign and defence specialists, 6,000 religious leaders and more than 3,000 members and staff of parliaments worldwide. This makes our newsletter the largest of its kind worldwide. WSN supports the young elite with a scholarship program. In 2004, Dmitry Udalov, the nineteen-year-old President of the Student’s Association in Moscow, received an invitation for his first visit to New York and Washington D.C. He is now Editor Russia. In 2005, Manuela Paraipan from Romania was awarded the WSN Scholarship to visit Beirut as Editor Broader Middle East. WSN is also working together with several research institutes on the international project Human Codes of Tolerance and Respect, designed to promote cooperation between diverse cultures- see www.codesoftolerance.com.